Whitley — who has not been confirmed by the Texas Senate — has faced weeks of intense scrutiny for questioning the citizenship of registered voters based on driver’s license and ID card data that didn’t account for people who became naturalized citizens and for immediately referring the list of flagged voters to the state’s top prosecutors before the list was properly vetted. He’s facing calls from Democrats and civil rights groups to rescind his guidance to counties on how to review voters’ citizenship status and halt the entire process. But Whitley’s apology was more focused on the way he released that data. Whitley blasted the news of potential noncitizens on the rolls on a Friday afternoon, and it was quickly amplified by top Republicans, including Gov. Greg Abbott and President Donald Trump, who made unsubstantiated or false claims of illegal activity and voter fraud. Whitley sent the letter to lawmakers almost a week after facing a blistering confirmation hearing before the Senate Nominations Committee and on the eve of the committee’s next meeting. In a change of plans, state Sen. Dawn Buckingham, R-Lakeway, said earlier this week that she no longer anticipated calling Whitley’s confirmation up for a vote Thursday as she originally said she had planned to do. 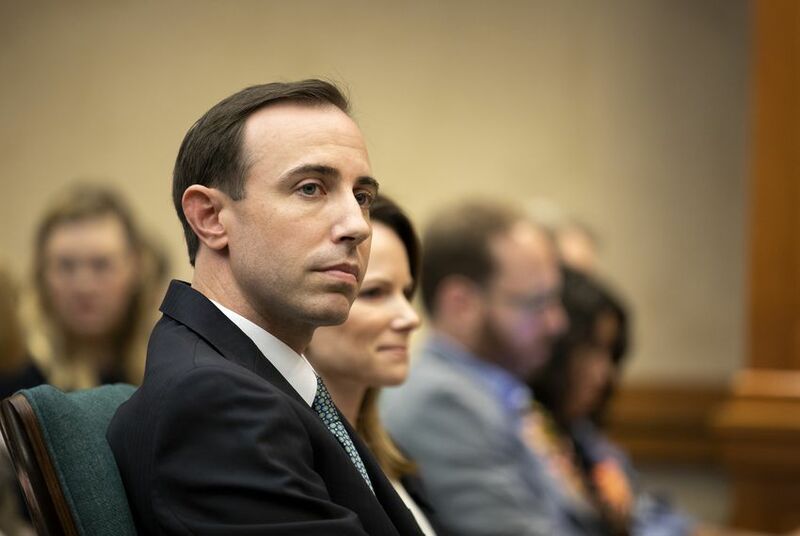 Almost three weeks ago, Whitley announced his office had found approximately 95,000 Texans on the voter rolls who had identified themselves to DPS as noncitizens while obtaining driver’s licenses or ID cards. But that data did not note how many of those individuals had become naturalized citizens and then legitimately registered to vote after receiving those documents. A Whitley deputy has since acknowledged the secretary of state’s office knew there was a “significant possibility” naturalized citizens would be on the list because driver’s licenses don’t have to be renewed for several years, and naturalized citizens are not required to update DPS on their citizenship status. Within days of announcing the list, other major flaws emerged in the data, including the erroneous inclusion of more than 20,000 naturalized citizens who had registered to vote at DPS offices after proving their citizenship. Despite immediately referring the list of voters to the attorney general’s office for possible prosecution, Whitley has since sought to characterize the state’s list of flagged voters as a “preliminary” document that required additional vetting by local officials. (The list was sent to the attorney general even before counties received it for review). At his confirmation hearing last week, Whitley doubled down on his defense of the bungled citizenship review efforts, which have prompted three federal lawsuits over claims he is unconstitutionally targeting naturalized citizens, but at times struggled to answer technical questions about the flawed data at the heart of it. Whitley has admitted that his office knew the list could contain mistakes but has not publicly acknowledged the inclusion of naturalized citizens on the list. Combined with his decision to provide the list of flagged voters to the attorney general’s office, that’s cost him the votes of some Democratic senators whom he will likely need to be confirmed. If his nomination makes it out of the Republican-dominated Nominations Committee, Whitley needs a two-thirds majority vote among the lawmakers present when the full Senate considers his nomination. Republicans are in the majority in the 31-seat chamber, but Whitley will require at least some Democratic support unless several senators are gone the day of his vote. He has been making the rounds with senators since his rocky confirmation hearing, meeting with individual members as recently as Tuesday.